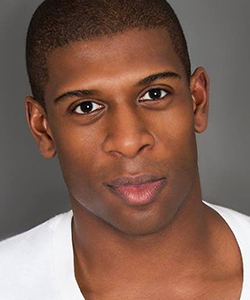 Described by TimeOut Chicago as “radiating with slowly simmering energy” for his performance as “Man 1” in Jason Robert Brown’s Songs for a New World, Curtis Bannister has been praised in both the operatic and musical theatre repertoire. For the 2016/17 season, Mr. Bannister returned to the roster at Lyric Opera of Chicago for their productions of Les Troyens and Norma, performed as tenor soloist in Haydn’s Lord Nelson Mass for the Baltimore Choral Arts Society, and debuted with Writers Theatre as “Lieutenant Barri” in Stephen Sondheim’s Passion. Additional season performances include: his debut with Porchlight Music Theatre as “Edward Moncrief” in On A Clear Day You Can See Forever and a recital tour in Sicily, Italy in August 2017, and a return to Writers Theatre where he is understudying the roles of Jim Conley/Newt Lee/Riley. In April 2017, Curtis will compete as a finalist in The Kurt Weill Foundation’s Lotte Lenya Competition. Future season engagements include: debuts in New York City, Philadelphia, Chicago, and Cologne, Germany. Many thanks to the artistic team at Kokandy for giving me a crack at this fantastic show and to this talented cast and crew. Love and thanks to my mentor and role model H.W.C. – I miss and am grateful for you every day.